The best month to Detox is October. 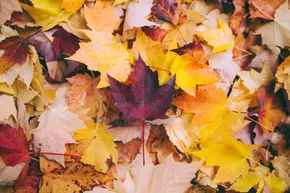 It’s when the season gets cooler, there’s no holiday events or dinners, so you have from 5 days to 30 days to clean out thoroughly. Cleansing from the inside out gives the body a chance to reset and remove built up toxins and debris we’ve accumulated over the summer and get on track to a fresh start into the holiday season. Do you need more Energy or Focus to accomplish more projects? Have better digestion, clear up your skin, or maybe you want to lose weight before the upcoming festivities. Start with a 5-day cleanse. Monday through Friday seem to be the most effective for most people. Then as you master the first 5 days, maybe move up to 10, 20 or for the competitive personality 30 days. The October cleanse means abstaining from all animal products and starches for 5 days. Followed by 2 days of vegetarian / vegan meals to slowly reintroduce normal foods back into your diet. Try to avoid Broccoli, Cauliflower, Cabbage, Brussel Sprouts, Beans and Lentils during the cleanse. These can cause gas which will bloat and constipate you. Also try to cut back on caffeine as much as possible, for it is very dehydrating. Do Pureed Soups three times a day and Green Juices 2-3 times daily. Also, drink 1/2 your weight in ounces of Alkaline Water daily, with compensations for working out as well as caffeine intake if any. Example, if you way 120 lbs then you must have 60 ounces of alkaline water. If you work out hard for an hour you must drink 40 more ounces of alkaline water. If you drink 8 oz of coffee or green tea you must drink 24 more ounces of alkaline water and so forth. 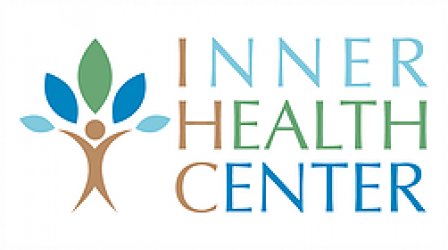 All these sessions are available at Inner Health Center with Deenie Robbins. Call for an appointment at (818) 881-8400 or through our website www.innerhealthcenter.com or www.I-act.org to find a certified Colon Therapist. Soups are best made fresh at home. If not there’s delicious and healthy soups at Whole Foods, Erewhon, and even at Vons. Try to heat on stovetop. Avoid microwaves as much as possible. Alkaline water can be found in any store including Costco and the 99cent store. The reason for alkaline water versus regular waters is the pH level. Alkaline water helps you become more alkaline versus acidic. Refer to my video in my website. Move a little bit more. Exercise is very helpful to increase circulation to reach an optimum detox effect. Even if that means walking around the block 3 times a week. Swing your arms a little higher by your sides to get the heart pumping. This cleanse can be done throughout the year and is an amazing way to RESET your body to become the best you! You can even incorporate a mini Master Cleanse \ Lemonade Diet into your new regiment by drinking it 2 times a day in-between meals. mix together and drink quickly. Below are two Delicious Soup Recipes you can make at home! Sauté mushrooms and seasoning till browned, then drizzle in vinegar and stir 1 minute more. Transfer to blender with remaining ingredients, blend well. And first at 400 degrees approx. 30 minutes or until slightly brown. Place in blender with additional ingredients and puree. Ready to serve.